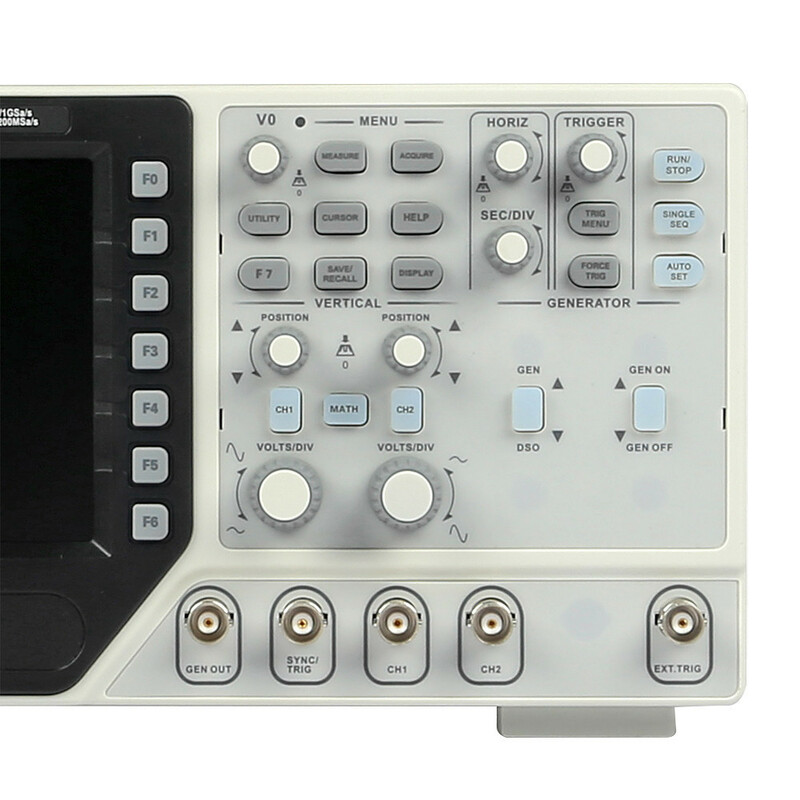 1.2 Channel Digital Oscilloscope + Arbitrary / Function Waveform Generator + Synchronizing Signal + External Trigger. 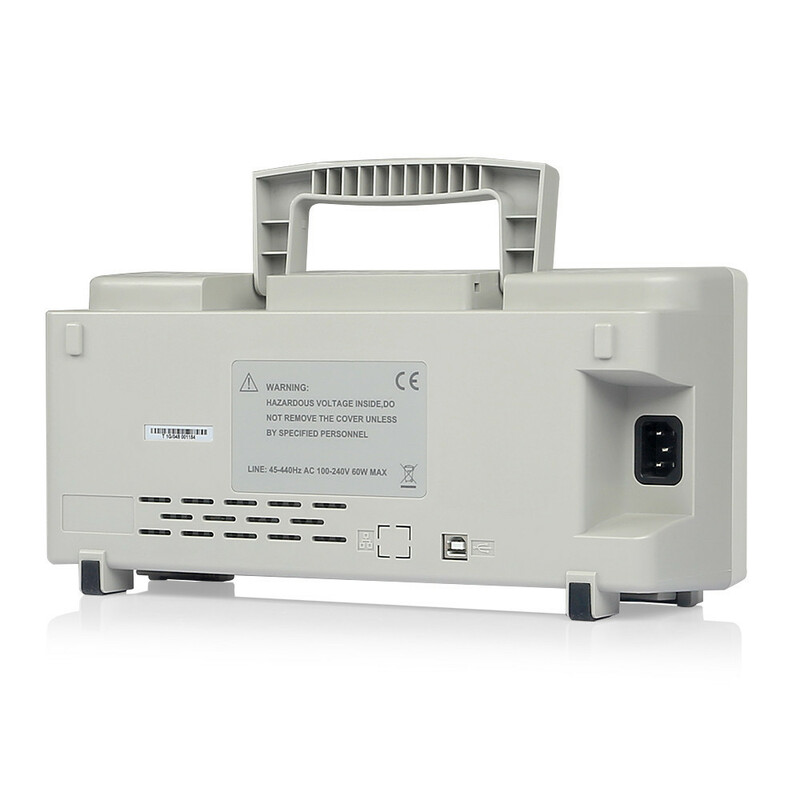 2.The Keys for osilloscope and waveform generator is seperated for convenient to operate it simultaneously. 3.Large and clear display (7 inch 64K color LCD display, Resolution 800×480), more clear and realistic waveform. 5.Powerful Trigger Function: Edge, Video, Pulse, Slope, Over time, Alternative. 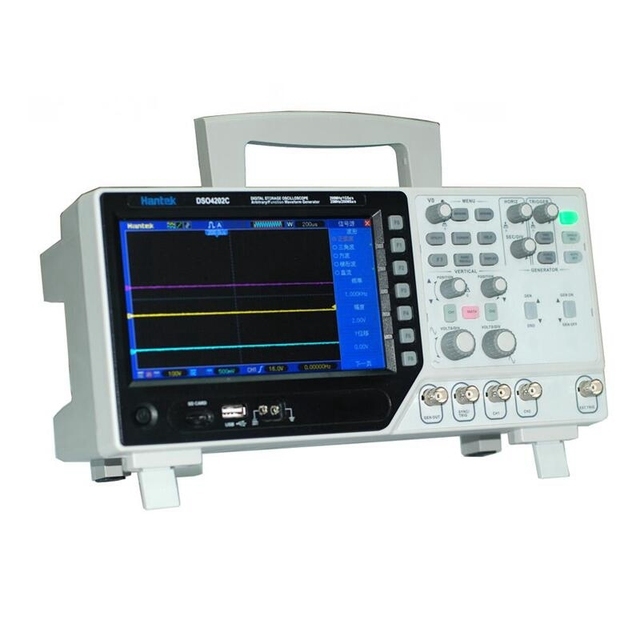 6.Arbitrary / Function Waveform Generator: 25MHz, 12 bits resolution, 200MHz DDS, Arbitrary wave / square wave / sine wave / triangle wave / trapezoidal wave / pulse wave / DC is easy to simulate transducer. 7.Support SD card, VGA function (optional). 8.Integrated USB Host, Support USB disk storage, USB interface / SD card system update. A: hello! Thank you for visiting our shop, here are some details, please read it carefully before order, thank you. 2. In order to quickly receive your goods, please write clearly the buyer when buy you this address, E-mail telephone etc, also convenient for us to send the goods to you the latest information. 4. Please note that we usually use China post international parcel The Netherlands and Switzerland postal and DHL EMS other international cargo business. Under normal conditions will be delivered within the scheduled time. But if there are special circumstances or by the customs inspection and other issues such as natural disasters need 25 to 30 days to complete delivery plan. But we will follow up each order sent in a timely manner. Thank you for your patience. 6. We send the goods twice a day. Most of the goods sent within 24 hours (working days) after payment. Projects at the same time, we will notify you send email. 5. If you have not received project, please do not hesitate to contact us, we will solve in the first time. Thank you for your understanding. 6. 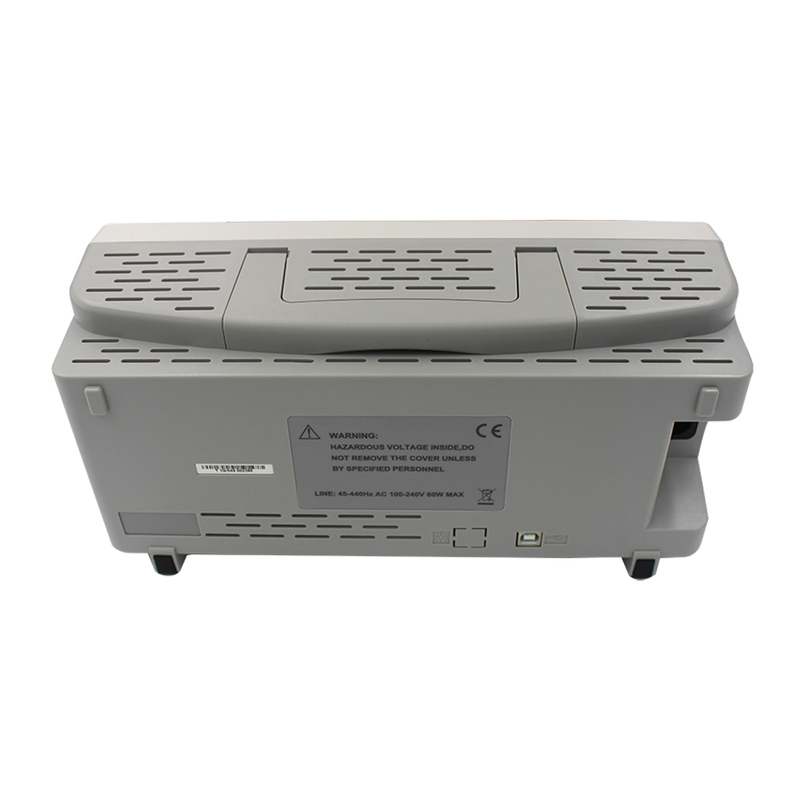 12 months Manufacturer`s limited Warranty for defective items (excluding items damaged and/or misused after receipt). Accessories come with a 3-month warranty. 7. Defective items MUST BE reported and returned within the warranty period (and in the original packaging, if possible). You must tell us what the defect is and give us your order number. WE DO NOT REPAIR OR REPLACE ITEMS WITH AN EXPIRED WARRANTY. You agree to all of the above-listed policies upon ordering on aliexpress!